Koenigsegg’s Regera rendering exercise is going on its fifth week now and I think speak for a lot of people when I say that Koenigsegg’s employees have done well for themselves in showcasing their skills in the art form that is rendering. For the most part, the employees have come up with some incredible works of art, most notably the Bordeaux Red Regera by Johan Bjurmar, Koenigsegg’s sales director for continental Europe and Scandinavia and the Battleship Grey Regera by Mattias Vox, the Swedish automaker’s Prototype Manager and so-called “vehicle builder extraordinaire.” The latest rendering comes from Jonas Voss, Koenigsegg’s director of electrification (or “EV propulsion,” according to his LinkdIn profile), and his interpretation brings together one of the coolest two-color combinations you’ll see used on a beast like the Regera. Red and black are arguably two of the best colors used as body colors on cars if done properly. Combining the two can yield impressive results. In some ways, Bjurmar accomplished that with his Bordeaux Red interpretation a few weeks ago. It wasn’t just the predominantly red finish on the Regera that was attractive; it was also the use of black as a secondary color and the burst of yellow streaks throughout the body that brought the whole color combination to life. By contrast, Voss’ interpretation also features black as a secondary color, but does do away with the yellow streaks, instead using white streaks to create a well-balanced three-color combination. It’s admittedly not the sexiest rendering (that, in my opinion, still belongs to Bjurmar) nor is it the one that I’d want to be seen driving (Vox’s Battleship Grey version takes the cake there), but it’s arguably the one that’s going to get the most attention, as if the Regera needs more of it to begin with. 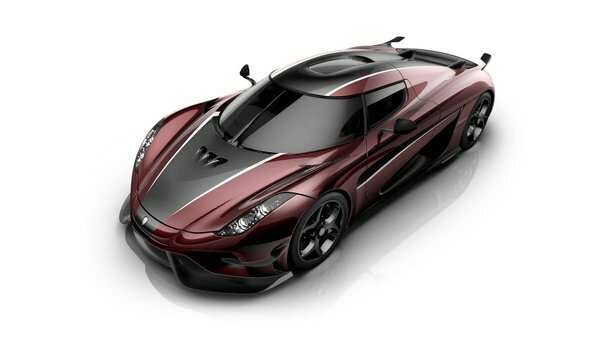 Here’s what I do know: these Koenigsegg Regera renderings don’t appear to be slowing down anytime soon and for what they’re worth, I hope Koenigsegg’s employees don’t get tired showing them off on a weekly basis. I can’t imagine what Mondays would be like without them now.